The footprint, believed to be a young Neanderthal's, can be found in sand dunes above Catalan Bay, a small fishing village in Gibraltar, a British territory at the bottom of Spain along the coast of the Mediterranean Sea. If the print is confirmed to belong to a Neanderthal, the area would be the second place in the world to be home to footprints made by these archaic humans, the other being Romania’s Vartop Cave. Writing in the journal Quaternary Science Reviews, an international team of scientists has reported over 10 years of research looking at the numerous mammal footprints found at Catalan Bay. Gibraltar is no stranger to Neanderthal activity. 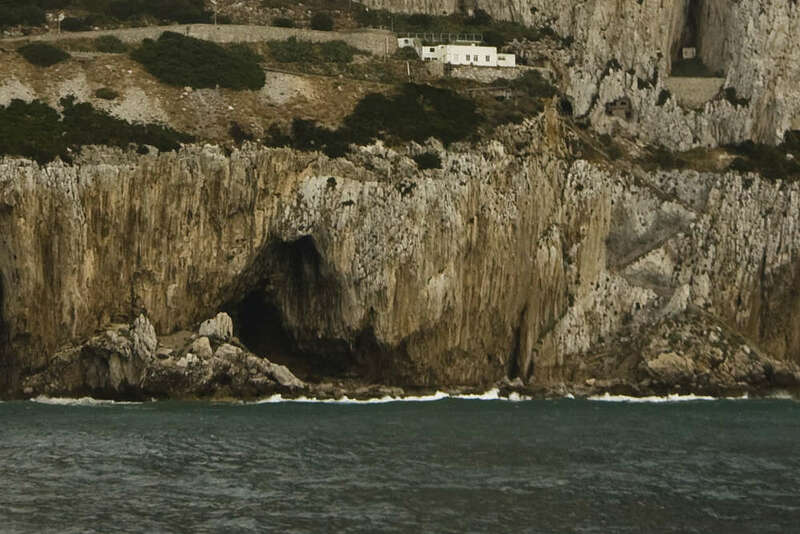 Gorham's Cave (below) on the southeastern flank of the Rock of Gibraltar is considered to be one of the last known habitations of the Neanderthals in Europe. A long-standing theory suggests this far-flung corner of Europe served as the last refuge for Neanderthal populations as they slowly but surely were driven to extinction. The surrounding rock dates to around 32,000 years ago, which is perhaps a little early for Neanderthals. Some researchers argue that Neanderthals were extinct in Europe by 39,000 to 32,000 years ago, however, a study published in Nature in 2006 argued that Neanderthals might have been in Gibraltar as late as 32,000 years ago. "Some people dispute these dates but the date of the Neanderthal extinction remains an open one," Professor Clive Finlayson, Director of the Gibraltar Museum, told IFLScience. "I should point out that if they are not Neanderthal footprints, but early modern human instead, the discovery would be just as important, if not more so, as fossil evidence of early modern humans in Europe is probably scarcer than for Neanderthals!" Nevertheless, these prints certainly appear to belong to a Neanderthal, according to the team. Photogrammetric analysis of the print shows that the foot was relatively short and wide compared to that of a modern Homo sapien. “Although with the present information it is not possible to discard modern humans as producers of the Gibraltar track, the geochronological correlation of the aeolianites [rock] with the archaeological and osteological findings brings Neanderthals closer to be the tracemaker,” the study authors write. The research at Catalan Bay also reaffirms the idea that this idyllic tail of Europe was also a hub of prehistoric biodiversity, some of which would seem very out of place in modern-day Europe. Along with the hominin print, the team also discovered footprints of red deer, ibex, aurochs, leopards, and straight-tusked elephants.